Our 4th annual La Fiesta de Arte was held on October 21, a Sunday afternoon at the El Molcajete restaurant in Geneva. Many local artist paintings were on display and available at auction to all who attended. The auction room was jam-packed with attendees enjoying appetizers while bidding on art pieces, musically-themed gifts, gift baskets and gift certificates from friends, supporters and local businesses. Our featured artist, Vincent Siracusano, was present and provided insight into his artwork and his current work with the School of Art in Geneva that offers everything from basic drawing and painting through full interactive animation and robotics. Musical entertainment was provided by the Mariachi Institute of Chicago consisting of young student musicians. The Mariachi Institute of Chicago helps these students connect to their culture through music. Many thanks to all our supporters and attendees who helped make this event a success! Thank you to Vinny for being our featured artist this year and displaying some of his amazing artwork. A special thank you to El Molcajete for sponsoring this event and providing the appetizers we all enjoyed. Finally, a heartfelt thank you to Sophia Vivianna’s parents, Alba and Robert, and her sister, Lucy for lending their support and for donating various wonderful art pieces created by Vivianna before her untimely passing. 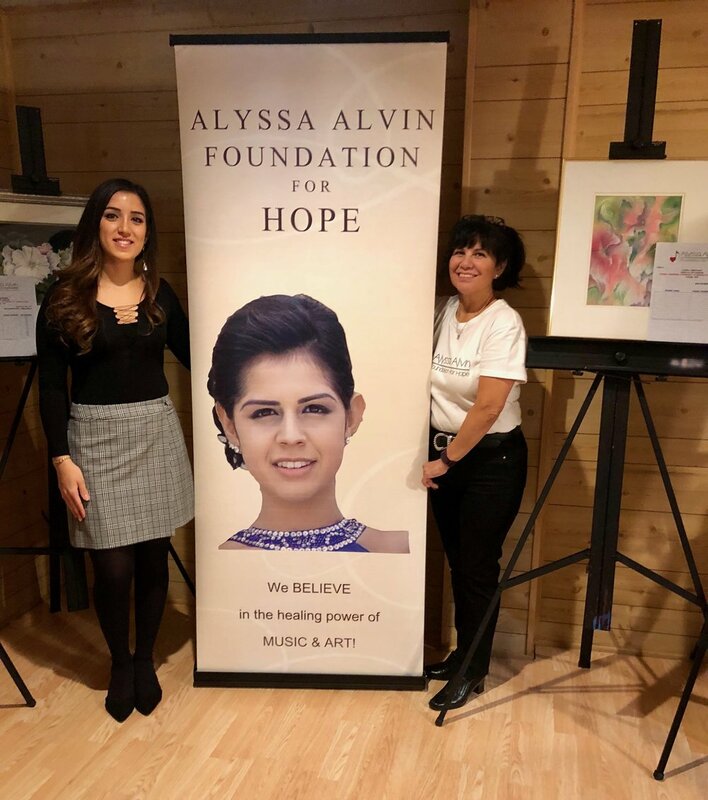 This event gives the AAFH incredible momentum in carrying out our mission through the end of this year.Hope to see you all again next year at our 5th annual La Fiesta de Arte event!